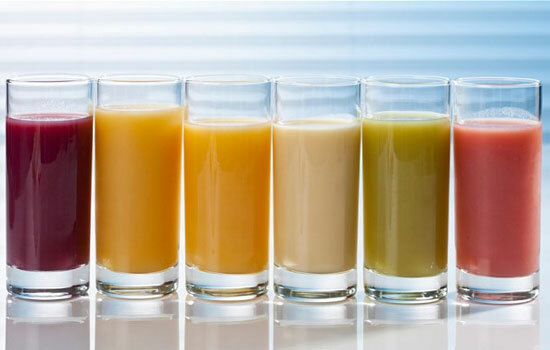 For several years, protein-based fruit drinks have taken an important place in the beverage market. 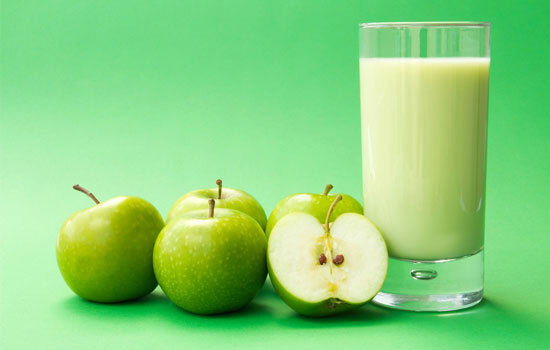 Milk juice beverage is a high fruit juice fashion product made of 30% fruit juice plus partially defatted milk. Its positioning is mainly young men and women, especially for women, this huge consumer group. Integrating fresh and attractive personality fruit with fragrant smooth pure milk, milk juice beverage is from juice but over juice. Low fat, low consistency and more nutrition. Milk juice beverage combines nutrition and fashion, the cost performance is high, and the phenomenon of stratification, precipitation and creamy floatation will not appear for a long time. Citric acid, lactic acid, apple juice, water, stabilizer, white sugar, sweet syrup and sorbic acid → mixing → acidification → blending → fixing volume → homogenization → filling → skim milk powder → warm water dissolve (pre-treatment of milk) → pasteurization → cooling → essences and β-carotene. The weight of the milk juice beverage is 1000ml. Handling of milk powder. Insulation and stirring the weighed skim milk powder and about 200 ml of 45-50 °C warm water for 30 minutes, make it fully dissolved and spare. Sol. Well-mixed evenly weighed sorbic acid, white sugar, sweet Syrup and stabilizers, adding pure water about 300ml, 70-80 °C, cutting for 15-20 minutes, dissolving the colloid into a transparent liquid. Reserve. Mixing. The mixture of milk and stabilizer is fully mixed, and then it is cooled to about 40 °C at once. Reserve. Blending and fixing volume. The acidified feed liquid and flavonoids and β-carotene blending, then the liquid is fixed to 1000 ml and stirs evenly. Homogenization. Heating the blended feed liquid up to 60 – 65 °C, then homogenization, the pressure of homogenization is 5 -10MPa (secondary pressure), 20 – 25MPa (primary pressure). Filling and sterilization. Filling the homogeneous feed liquid, and doing pasteurization. The temperature of sterilization is about 86 – 88 °C (the temperature of feed liquid), keeping the temperature 15 minutes. Cooling and finished products. The product is cooled to the center of the container with the below 40 °C temperature, labeling, packing and warehousing. 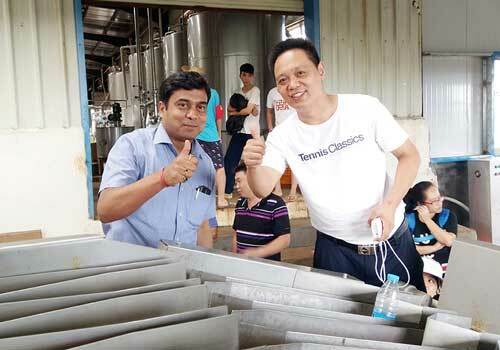 The production water supply must be demineralized water, the electrical conductivity (25 °C ±1 °C) is less than 10 μs/cm. PH value of the product should be controlled at about 3.8 – 4.2 to ensure product stability. In the process of production, in addition to adding sweeteners, flavoring agents, flavors and preservatives, without adding emulsifying, thickening and any other additive, so as not to affect the stability of the final product.